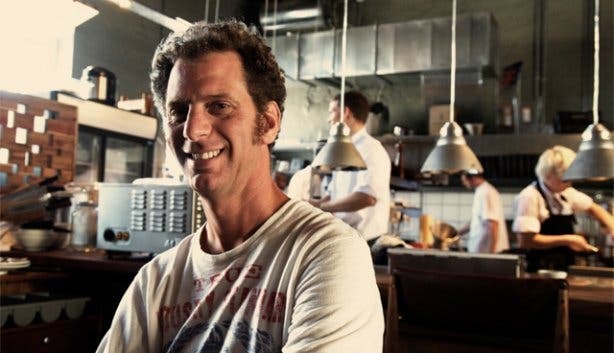 Much lauded chef, Luke-Dale Roberts, is no stranger to directing a brigade of chefs, sharpening knives and of course, dreaming up relentlessly creative menus. His new role, as not only the head chef of The Test Kitchen, but also as the owner, has given him a whole new set of skills. ‘I never used to have to worry about leaks, nails, doors...’ he says trailing off. ‘All of it [running a business] takes so much time.’ His phone beeps and he’s off again leaving us to have lunch. 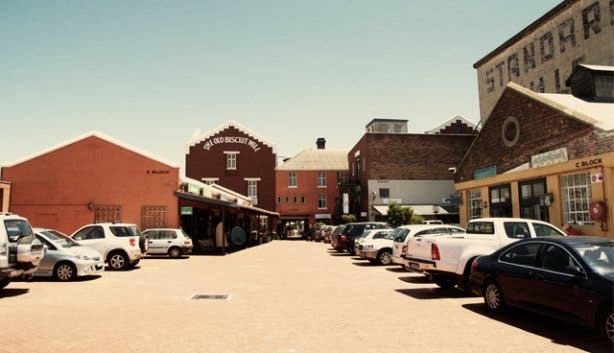 The Biscuit Mill complex is buzzing—newly opened Saucisse Deli is doing a roaring lunchtime trade, the Espresso Lab is churning out litres of black gold and The Test Kitchen is positively humming. 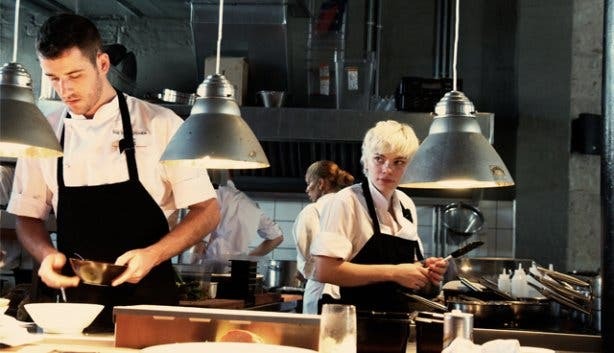 The team in the open plan kitchen move fast in their chefs’ whites. All prep and cooking is open for everyone to see, dining alone here wouldn’t be hard at all—there’s plenty of entertainment. Today though, I’m lunching with CapeTownMagazine.com‘s German editor, Antonia Heil. First thing’s first, the wine list. Printed on a sheet of recycled brown paper, the selection is clearly carefully chosen—bold whites and reds of pedigree. The pinot noir section itself is impressive, Adam Mason, Paul Cluver and Vriesenhof all make an appearance. The options by-the-glass are top-drawer too, a treat when, if you’re like me, you like to drink different wines throughout a meal. Soon a glass of Newton Johnson Chardonnay and Adam Mason Pinot Noir have made their way to our table. A bit of confusion seems to take place. Antonia’s drinking from my glass, I’m drinking from hers, a whole lot of swapping and giggling is going down. We decide to take the same approach with the food. For starters we tuck into Asian-style beef tataki, with zinging citrus, and a vegetarian (we must have misread the menu...) tempura roll. Veggie or not, it’s still delicious, light, with defined flavours. 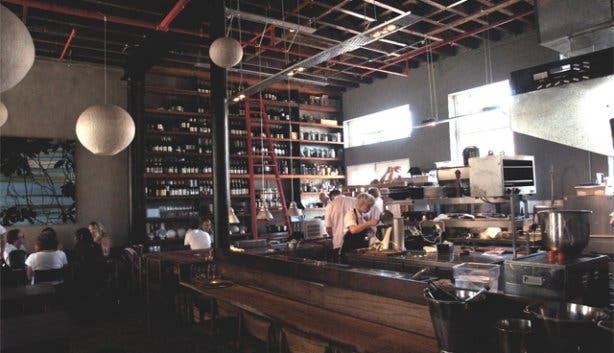 The space itself is industrial with urban/Asian-inspired décor—textured paper globes hang from the ceiling, piles of bespoke crockery are neatly packed onto crimson shelves and beaten metal tables make up the intimate restaurant. At its heart is the open kitchen; wrapped around the perimeter is the ‘kitchen bar’, here guests can dine off the â la carte menu while watching the carousel of chefs create culinary magic. 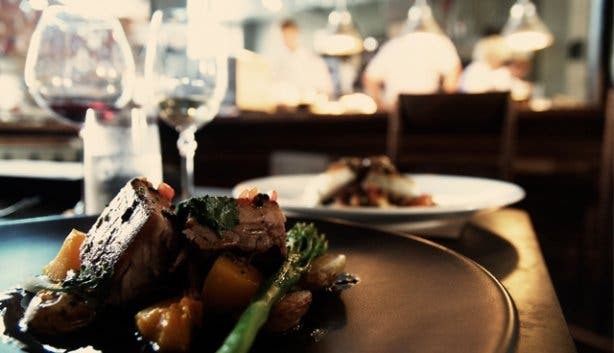 Our main courses are a wood-fired pork belly served with a black bean dressing and a hake fillet dressed with an olive and raisin salsa. The pork is prepared in the ‘pizza oven’ in the courtyard, and is served with Asian greens—a lighter, more delicate take on this traditionally rich dish. The fish is banging fresh, a thick cut fillet with beautifully-white flakes. As if to emphasise this freshness, in walks a fish monger, white gumboots and all. Luke goes over to meet him and they haggle over cuts of silver fish. There’s no backdoor policy here, all the comings and goings of this restaurant happen in the public eye. While we’re chatting a ceramic egg is placed on the table. Inside are pastel balls of sorbet, a fitting end to a light summer’s lunch. 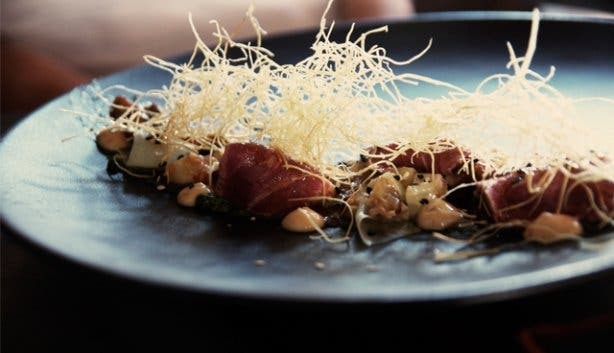 Luke Dale Roberts announced in September 2018 that Camps Bay's famous The Roundhouse restaurant is closed, and he's opening all-new Salsify in this space October 2018. For more restaurants visit our Eating Out section. Subscribe to our newsletter, follow us on Facebook and follow us on Twitter.